Nixon Motor Sports: NMS FIAT Abarth Returns to the Track! 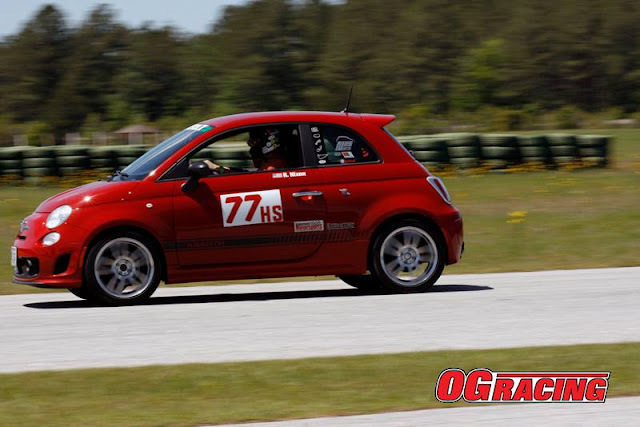 The NMS FIAT will return to track action in August when we head to Pocono raceway for a full day of High Performance Driver Education, or HPDE. While the word "education" might sound funny, that's what this session is all about. Sponsored by the fine folks at NASA in the Northeast region, we'll be driving several sessions all day with an instructor in the passenger seat, and be working to improve our driving technique. This is not a race or competition in any way, other than we'll be trying to be a better driver at the end of the day than we were when we woke up in the morning. OK, the Corvette, Dodge Challenger, Jaguar XE, and Subaru are going to be fast cars, but along with the Abarth we'll be seeing a Honda Civic, FIAT 500, so it's not all about speed. While we won't be racing, in our beginner HPDE 1 sessions we are only allowed to pass other cars under certain conditions. This makes things as safe as can be. Those conditions are that you can only pass on the straights, and only when the car in front sees you gaining on them and sticks their hand out to give you a "point by". This way both drivers are communicating and know what is going to happen. Being predictable is important, and if you've ever driven anywhere for more than about 1 minute in the US you've learned this by watching the other crazy drivers!